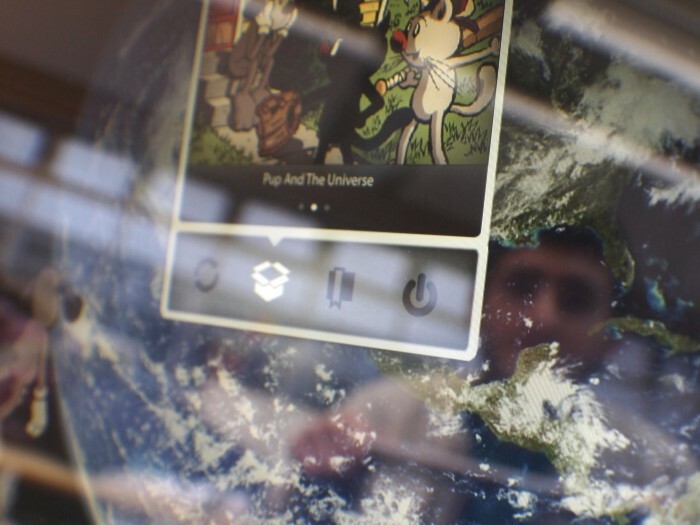 Tilt is an e-reader that enables comic and graphic novel fans to experience a new medium of comics which utilises the flexibility of modern digital displays. Instead of trying to create a realistic simulation of paper comics, Tilt aims to introduce a new medium for comic artists and producers. Comics and graphic novels are broken up into panels and juxtaposed onto an infinite canvas. The user can tilt the device left, right, up or down and the comic slides accordingly. They can access the main menu by gently shaking the device and make selections by knocking anywhere on the e-reader. The fully working prototype is a combination of Flash, Arduino and ActionScript.